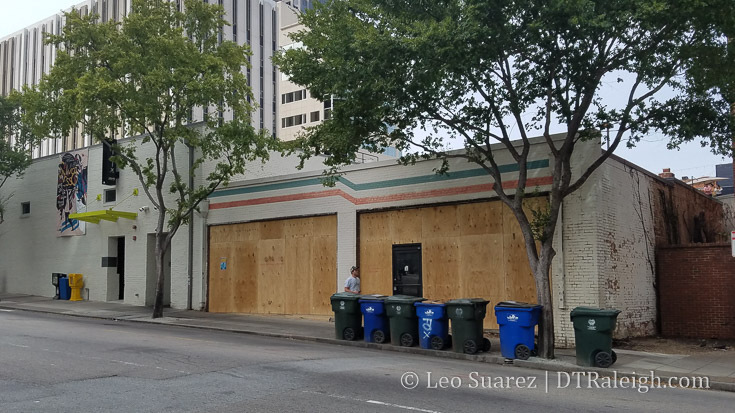 There’s work taking place in the Moore Square Historic District that may see new life in older buildings. 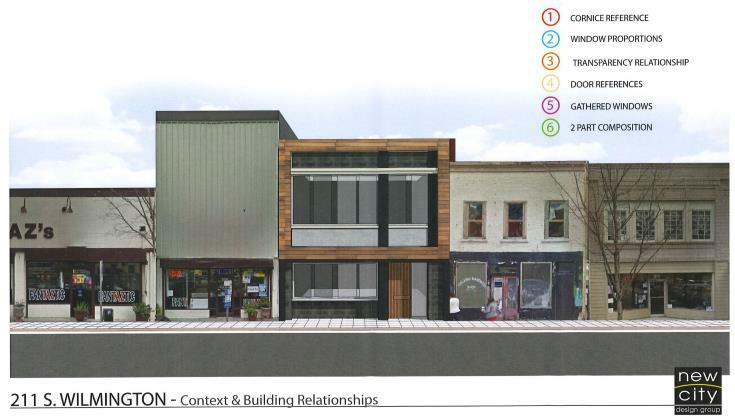 Currently under review by the Raleigh Historic Development Commission is a new storefront for 211 South Wilmington. 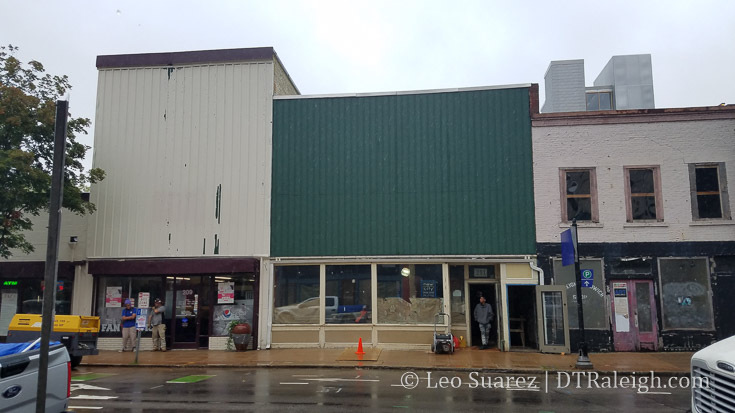 The building will be upfit with a new storefront that aims to maintain the scale of the district but with modern character. 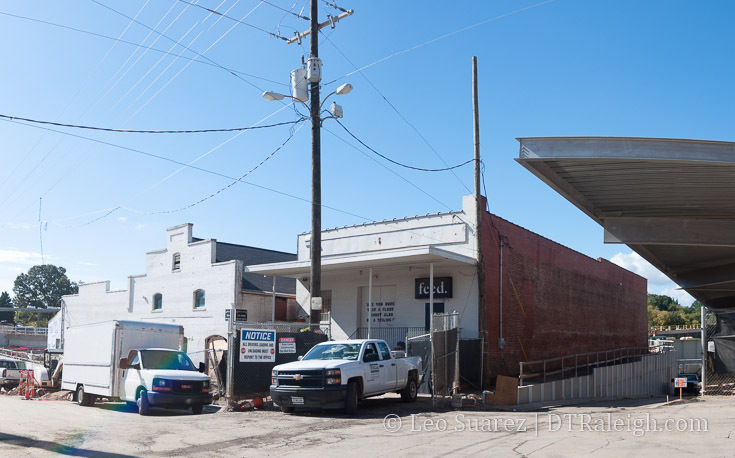 The plans, 128-17-CA, mention a two-story noodle bar for this space. With the building being in a historic district yet featuring no major architectural features (from my unskilled eye anyway) I can’t see any major controversy here. For reference, here are the row of buildings today. 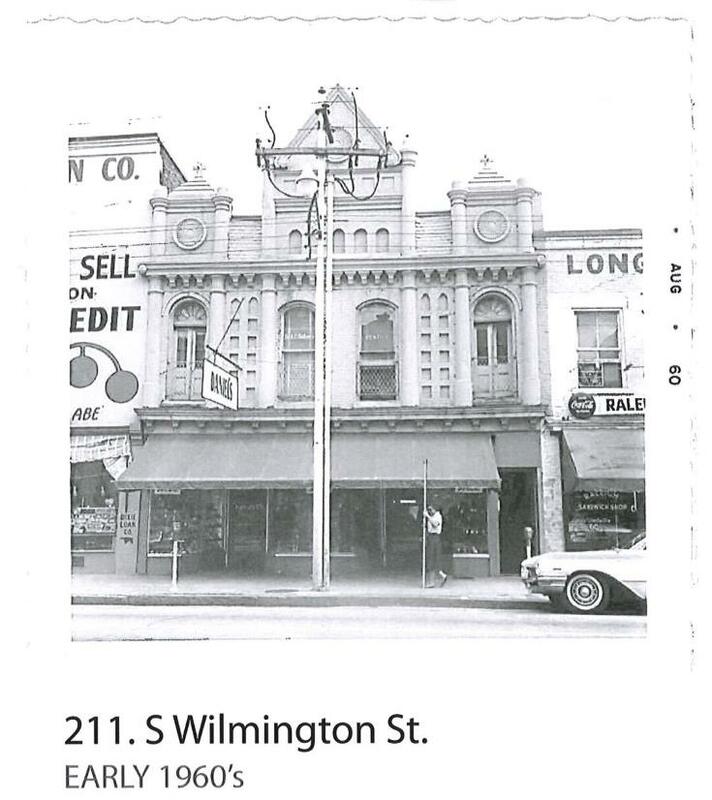 It’s a shame that 211 South Wilmington didn’t maintain its facade from the 1960s. The story of this building and the tenants that have cycled through would make a great follow-up. 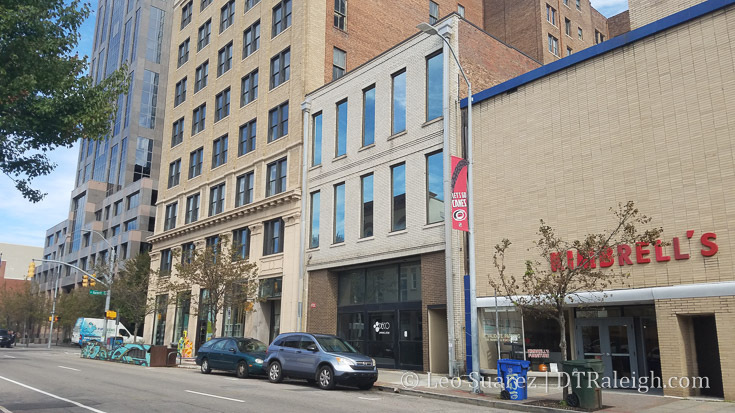 Around the corner at 107 East Martin, could something finally be moving in? 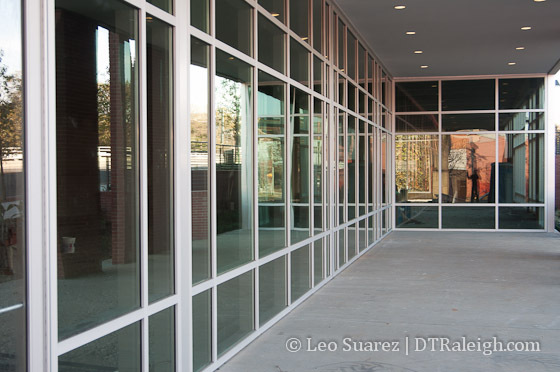 This spot has been an empty shell since Raleigh Printing closed. (moved?) If anyone can remember when that happened, let me know but I want to say it was at least 10 years ago. I’m happy to see some of the older buildings getting new life as these add diversity to our urban environment and play a huge role in keeping downtown more interesting. 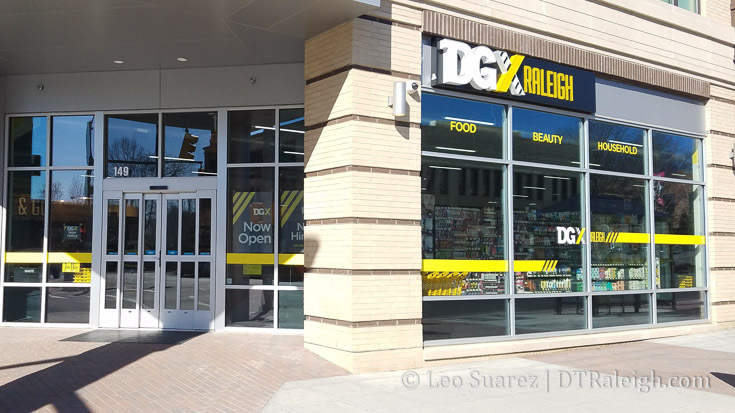 The convenience store king of downtown Raleigh, Taz, has opened up Oak City Market House of Fresh in the Skyhouse tower. 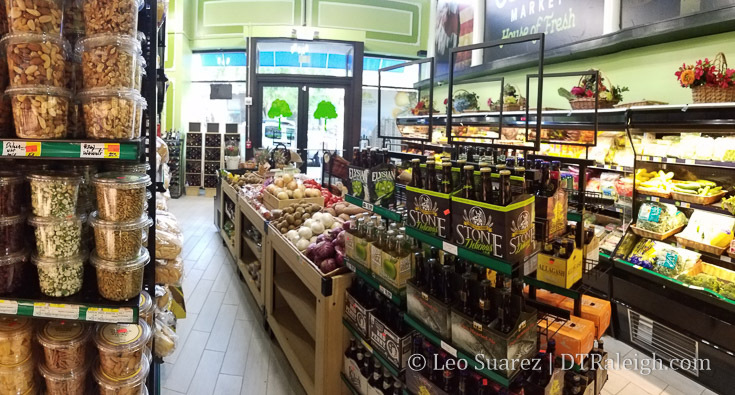 The shop is part deli, part grocer with a wide selection of produce, meats, and other essentials. What I like about this one is that the items are packed in there, as an urban store should be. 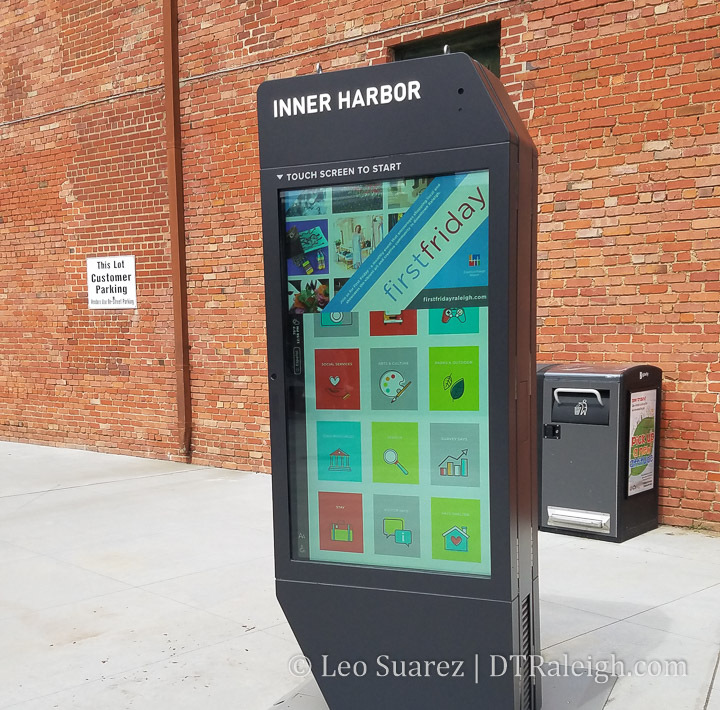 When you couple this up with DGX Raleigh nearby, you have some pretty convenient options along Blount Street. I recently had a meeting that was held over at Google’s new shop on Glenwood and took a VR photo inside the new space for the blog. There’s a lot of hype about this new space with lines around the block to get in on First Fridays, tons of curious visitors, and even some getting their wedding photos taken inside. Personally, I don’t get the hype but as an event space, it does look quite well done for a store that has no physical products to walk out with. Over the last few months, the polish has wrapped up on the new Citrix office site along West Street and today employees are moved in. In case you haven’t seen them, there are some fantastic photos of the new complex up on the company’s Flickr page that you should take a look at. The opening was big with a lot of media coverage. The mayor, the governor, and other VIPs were all at the official opening. The politicians and the city love this stuff and used it in a well-made video to promote Raleigh and Citrix. I have it embedded below for viewing or you can see it directly on YouTube here. Now that we’re rolling here let’s take a look at the site. 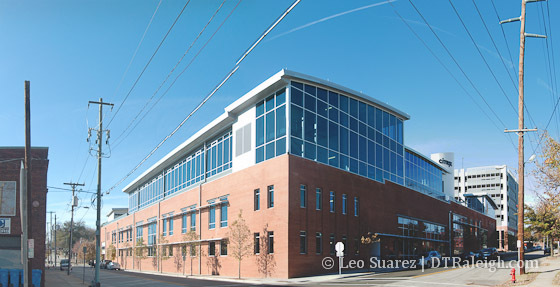 To a degree, the office portion of the Citrix complex is not mixed-use with the building being purely dedicated to employees. 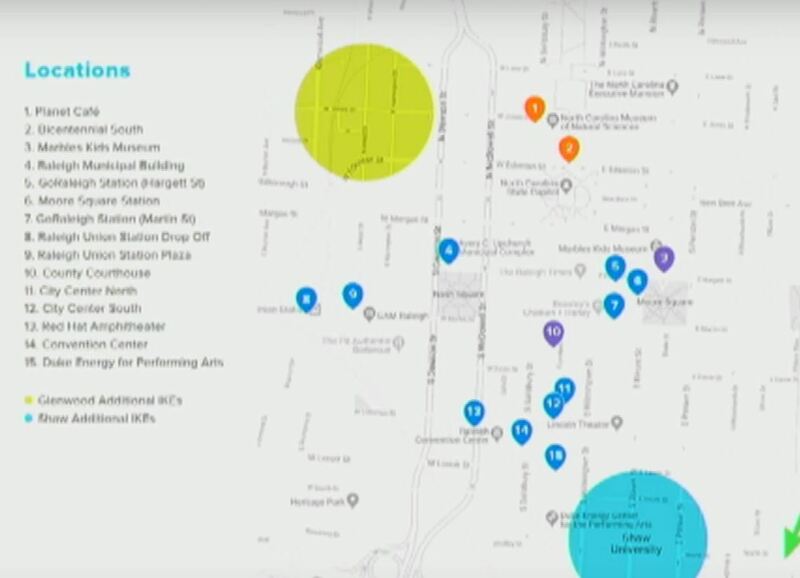 However, if you zoom out that is kind of how the warehouse district is made up these days. Davie Street contains a mix of restaurants and bars and probably has the most activity but besides the mixed-use nature of The Hue apartments, the single-purpose warehouses and buildings are just that. The future of the district’s urbanity is still uncertain. 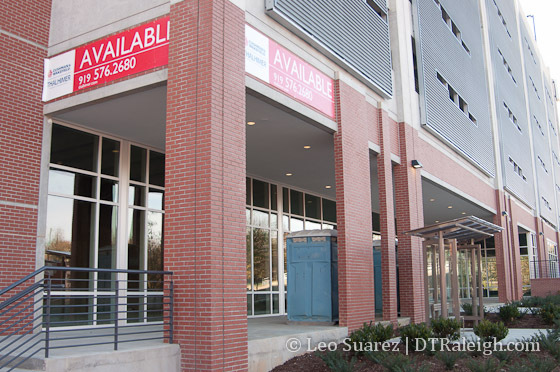 The Citrix parking deck does contain some retail spaces along the length of Morgan Street. Walking by, there is a lot of space here and a huge amount of sidewalk in front. 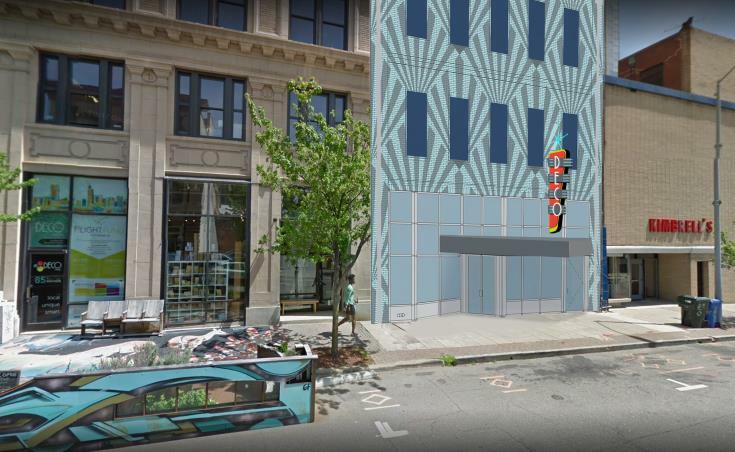 I would imagine that this will open the parking deck for visitors who want to go here and will create a more mixed-use environment. If you go look, you can see that there is plenty of space for all kinds of uses here. 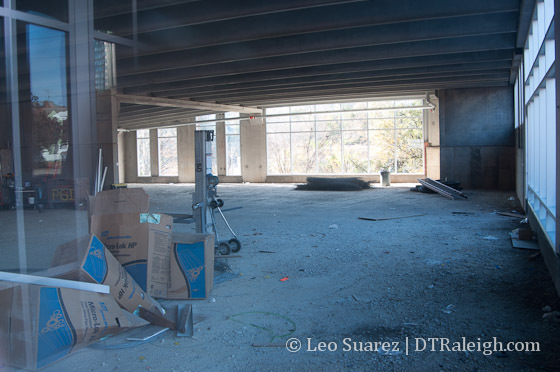 The space even has west facing windows overlooking the railroad tracks. Weekend days and weekday nights are still pretty calm for the warehouse district so my guess is that these retails spaces may sit empty for awhile. However, if the politicians and media are to be believed and Citrix is the great catalyst that we’ve been waiting for, then I hope that I am wrong.